Qualified as a CA with PwC. 2005: Senior Associate at PwC. 2014: FA Councillor at the Football Association. 2015: Inclusion & Diversity Consultant at RimJhim Consulting. Treasurer of The Listening Service. Chair of the Muslim Women's Sport Foundation. Inclusion Advisory Board Independent Member of the Football Association. Advisory Board Member of Shirzanan Global. The search is over and Rimla Akhtar MBE CA has been named as the ICAS One Young CA 2016. Rimla is an Inclusion & Diversity Consultant at RimJhim Consulting in London. She is the first Muslim woman to sit on the FA Council and is Chair of the Muslim Women’s Sport Foundation. Her work spans from community groups, to the Government and as far afield as the US, Saudi Arabia, Abu Dhabi and across Europe. She was named Sky Sports and Sunday Times Sportswoman of the Year in 2013, FA Grassroots Hero in 2013 and was a member of the 2009 Muslim Women Power List. Rimla's MBE was awarded in 2015 for her exceptional work championing equality in sport. She will now represent ICAS and the chartered accountancy profession at the One Young World Summit in Canada next month. The summit brings together inspiring young people who are committed to making a positive difference. Rimla spoke to Eleanor O'Neill about the award and the work that made her stand out from the crowd. What does the title of One Young CA mean to you? Being given the title of One Young CA actually means so much, especially because it’s the first award I’ve received from within my profession. And this particular title recognises that I’m living up to the high values that ICAS holds for its members. Recognition is not something that I focus on when I’m immersed in my work as I’m driven by my values. However, when you are rewarded for that work, it does make you stop and think about the impact that you’ve had. How did your passion for sport begin? Growing up in the 1980s and 1990s was difficult for my family as we faced a lot of racism. I was lucky in that I have two older brothers who protected me – and they’re also the reason that I got into sport. I’d be that annoying little sister who wanted to do whatever they were doing, and that included playing football with them! I found that the field of play was one area where nobody seemed to care about the colour of my skin, the piece of cloth I wear around my head or the fact that I am a woman. I was accepted in that arena and successful due to having the technical ability as well as the confidence. Since falling in love with sport and seeing the positive impact it’s had in my life, I’ve always wanted to support others to create positive change within themselves and their communities. Why is equality in sport important? Equality and inclusion is important in all areas of society, particularly with the current climate globally. It is the foundation for any fair society where every human being has the opportunity to reach their true potential. Whatever messages our ‘leaders’ across the world are putting out, we must provide an alternative narrative that focuses on what we have in common and acceptance, not tolerance, of what we don’t. I know that sport has a unique power to unite, to bring hope and develop individuals and communities. I’ve seen that with my own work. For me, sport is the most powerful tool for building a better global society. There have been a number of highlights in my life so far, including the MBE last year. However, I’d say the greatest achievement has been being elected to the FA Council as the youngest ever member as well as the first ever Muslim and Asian woman. My journey has, however, only just begun! Ultimately, as corny as it sounds, I’m someone who is working for inclusion and equality throughout society. Whilst I realise that I’m unlikely to see that truly happen in my lifetime, I hope to have left enough of a legacy that future generations can build on towards that goal. How has the CA qualification helped you advance? The CA qualification has been a huge part of my development. I went from a science-focused brain to wider global business understanding. 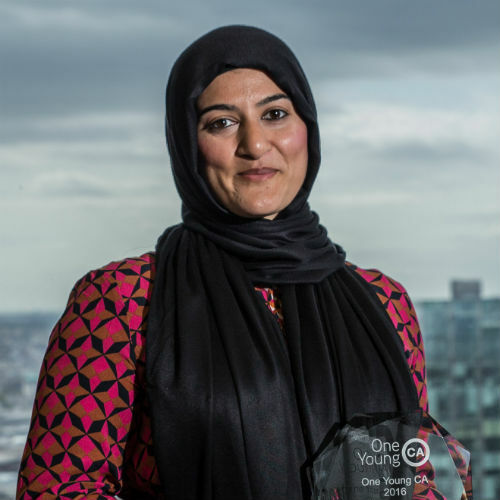 It came at the right time for my work as well because I became Chair of the Muslim Women’s Sport Foundation when I embarked on the CA qualification and it undoubtedly helped me to move it from a small charity with income in the few thousands to one that was bringing in over £250,000 in grants. And now, in the various roles that I find myself, I know that it’s the unique combination of sport, community and, crucially, my CA qualification that makes me stand out from others. I’m inspired so many things, particularly in relation to having impact on the lives of people around you. This could be the smallest act of kindness such as a smile, to individuals who have dedicated their lives to the service of others, such as my mother. I believe every individual has the ability to be inspirational within their own sphere of influence. The key point isn’t how many people it impacts or reaches, but the fact that they acted in a situation where they were able to and therefore made a difference. What are you most looking forward to at the One Young World Summit? I’m most looking forward to meeting like-minded leaders from across the globe who want to create their own personal impact for our global community. I’m someone who believes every experience adds to your development and I’m looking forward to building my global network, learning, growing and then using that for my work in the future. What advice would you give to your past self? As a young girl I was surrounded by a lack of acceptance. I found my confidence and acceptance through my family and through sport. I would advise my past self that this is all that matters – acceptance by myself and those whom I love. One thing I make sure to do now is to enjoy each part of the journey according to my own aims rather than simply focusing on the end goal. So I would also advise my past self to do this from day one! 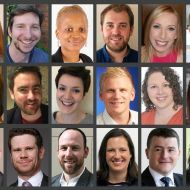 The announcement of the top 35 CAs under 35 for the One Young CA competition.